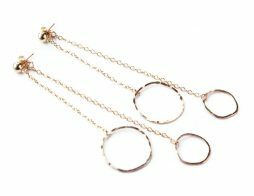 Long chain earrings with ear jacket. Modern double chain earrings on gold. Long double chain earrings with ear jacket in 14k gold filled. Modern jewelry, newest trends. Super long double chains earrings. 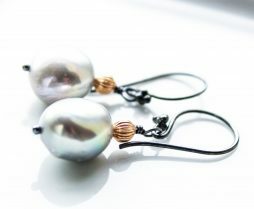 Earrings are super long, made of 14k gold filled gold. The front part is 3″ long and the back chain is 3.5″ long. Gold filled organic links, front ones are 3/4″ and the back ones are 5/8″ in diameter.